We’ve all heard how we should wait as long as we can before taking any Social Security benefits. The longer we wait, the more we receive in monthly payments. We also know that waiting until 70 is best, but what if you’re, say, 63 and need them now? Note – the earliest you can qualify for take your benefits is 62, full retirement age is currently 66 for those born between 1943 and 1954 and increases in two month increments to age 67 for those born after 1960. If you’re permanently disabled, you may qualify for other benefits, including Medicare or Medicaid, depending on which state you live in. Unless that’s the case, you won’t qualify for Medicare until you’re 65. Many have other issues that demand an earlier than expected start point. You may have been diagnosed with a chronic disease or other degenerative condition or you could be disabled and are unable to work. Others, surprisingly, can afford to retire early and have money in the bank that allows them to do so. If you’re married, you can consider spousal benefits, which are determined by lifetime earnings. Larger monthly payments often occur if the spouse who earns the most is also healthy and can afford to wait until he or she is 70. That’s one strategy many have. For most retirees, there exists an annual bonus in payments if they can wait, up to 8 percent. Social Security will give you an 8% annual bonus in payments if you can wait, so careful planning with a spouse is a good idea. 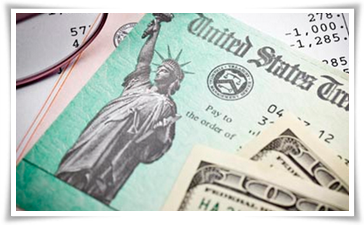 You might have heard of a lump sum payment offered through the Social Security Administration. If you are past full retirement age, and have not yet filed for your benefits, the Social Security Administration indeed offers a retroactive lump-sum payment that’s worth six months of benefits. Let’s say you were planning to delay taking your Social Security benefits past age 66, but you changed your mind at 66 and six months. You could then claim a lump-sum payment equal to those six months of benefits. So, for instance, if your full retirement age benefit is $2,000 a month, you would be entitled to a $12,000 lump-sum payment. If you decided at age 66 and four months that you wanted to file retroactively, you’d get only four months’ worth of benefits in your lump sum, because SSA rules prohibit you from claiming benefits that pre-date your full retirement age. Another option, available only to those at full retirement age, is the file and suspend option. Let’s say you’re 66, and you decide to delay your benefits. You could file for your benefit and then immediately suspend it. This gives you the ability to collect a lump sum going back to the date you filed. So if you need money at age 69 for example, and your full retirement age benefit was $2,000, you could get a three-year lump sum of $72,000. Of course there’s a catch. Once you accept a lump-sum payment, you’ll lose all the delayed retirement credits you’ve accrued, and your future monthly retirement benefit will be reduced to reflect the amount you already received. Speak with your estate planning lawyer to learn more about qualifying for your Social Security benefits. The team at Zimmer Law Firm stands ready to answer questions and provide guidance.